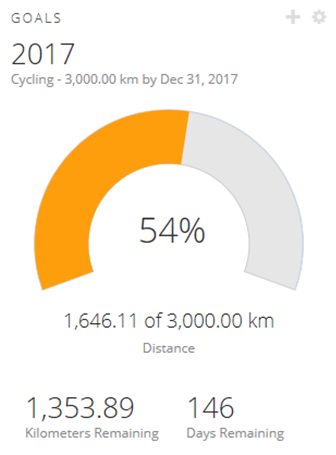 After a weekend of biking our asses off (figuratively and literally) in Montreal (that story HERE), I have now surpassed the 50% point of my annual goal of 3,000 km. WooHoo! This entry was posted in cycling and tagged goals. Bookmark the permalink.